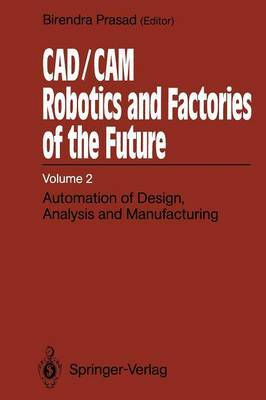 This volume is about automation - automation in design, automation in manufacturing, and automation in production. Automation is essen- tial for increased productivity of quality products at reduced costs. That even partial or piecemeal automation of a production facility can deliver dramatic improvements in productivity has been amply demon- strated in many a real-life situation. Hence, currently, great ef- forts are being devoted to research and development of general as well special methodologies of and tools for automation. This volume re- ports on some of these methodologies and tools. In general terms, methodologies for automation can be divided into two groups. There are situations where a process, whether open-loop or closed-loop, is fairly clearly understood. In such a situation, it is possible to create a mathematical model and to prescribe a mathe- matical procedure to optimize the output. If such mathematical models and procedures are computationally tractable, we call the correspond- ing automation - algorithmic or parametric programming. There is, however, a second set of situations which include process- es that are not well understood and the available mathematical models are only approximate and discrete. While there are others for which mathematical procedures are so complex and disjoint that they are computationally intractable. These are the situations for which heuristics are quite suitable for automation. We choose to call such automation, knowledge-based automation or heuristic programming.